The Seabird Protection Network (Network) partners with boaters, kayakers, pilots, and seabird biologists to reduce disturbance to seabirds and other marine wildlife found along the California coast. California is home to an amazing and diverse population of seabirds that gather in large groups on offshore rocks, cliffs, and near-shore islands. Healthy seabird populations help support recreational businesses along the coast. Did you know that bird watchers generated more than a $100 billion in total industry output, including 666,000 jobs? The 2011 survey produced by U.S. Fish and Wildlife Service estimates $13 billion in local, state, and federal tax revenue in the United States. And bird watchers spend annually 3.1 million person-days birding along the Central California coast and ocean? Discover ways you can be "seabird safe" while flying, boating, paddling or hiking along the coast. 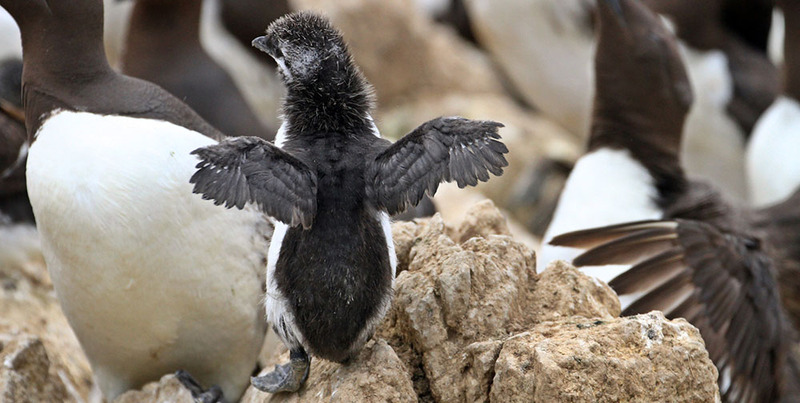 The Seabird Protection Network (Network) is a multi-organization collaborative that works to reduce human disturbance to seabirds and other marine wildlife along the California coast.